The Village Theatre has probably the most interesting history. 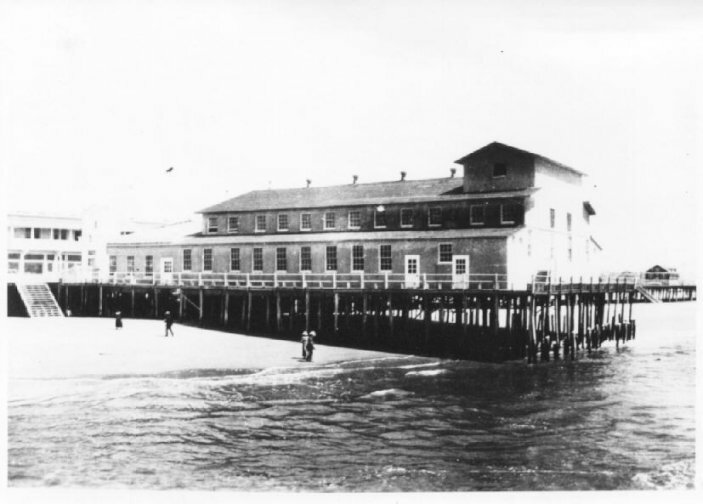 It was built as a pier near 8th Street around 1900. 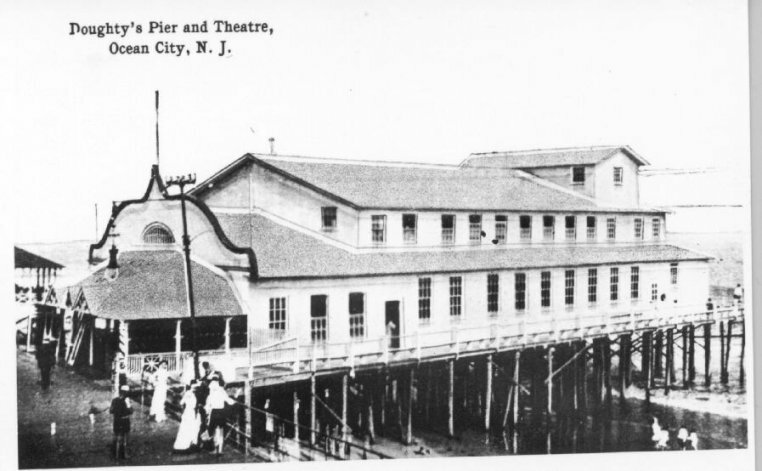 Standing high up on pilings, above the water's edge, the theatre presented plays and vaudeville acts. Doughty's Pier, as it was known, had rows of windows on each side to let the ocean breeze through. Benches offered simple seating for the crowds. Silent movies were shown in the early 1920's. 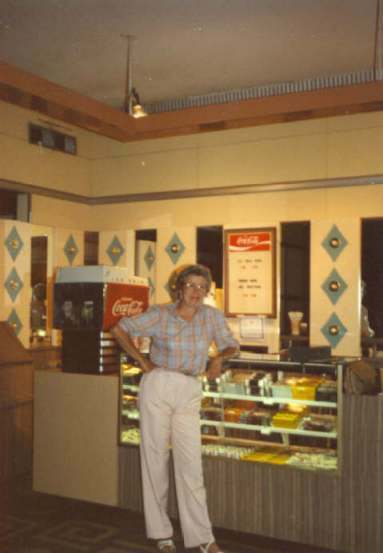 Helen Kertland, who sold tickets at Doughty's from 1923 to 1988 told me of how the same group of ladies, including Mrs. Doughty, would sit in rocking chairs on the ocean side of the building, overlooking the Atlantic, each night and talk. 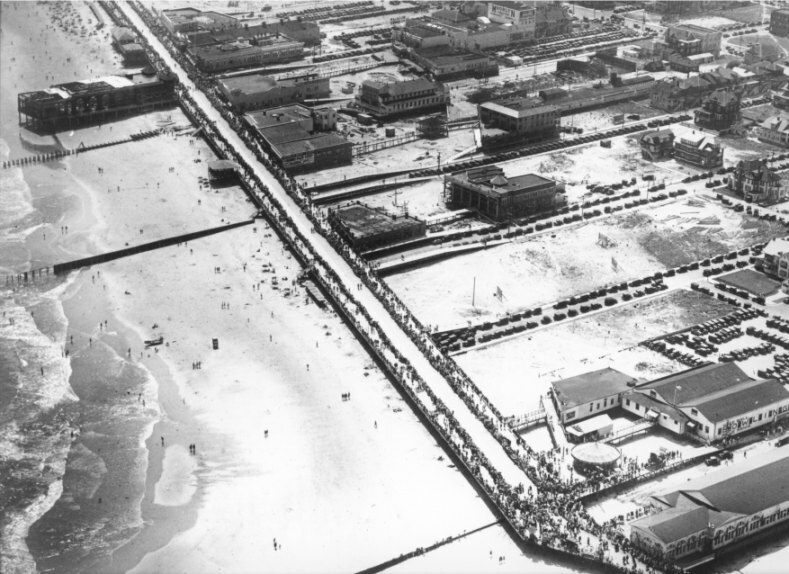 When the great fire of 1927 destroyed much of the boardwalk, Doughty's Pier survived. The new boardwalk was rebuilt much closer to the ocean, on the other side of Doughty's pier. 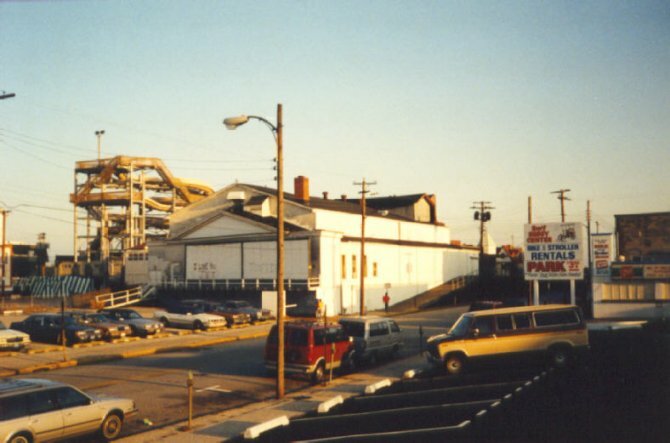 The theatre found itself on the inland side of the boardwalk, and about 100 feet from it. 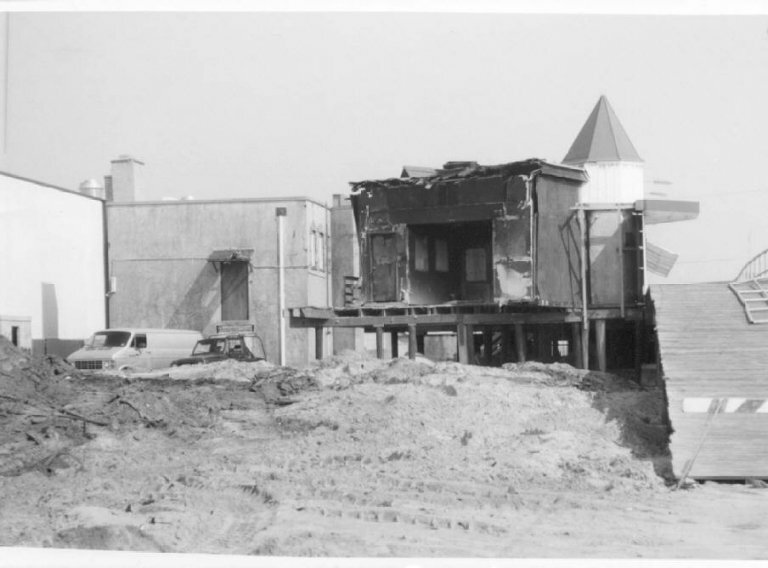 While other buildings that survived the fire were actually moved east to the new boardwalk, Doughty's pier remained in place, but was no longer a pier. The entrance was now on the wrong side of the building. Carpenters were hired to turn the inside of the theatre around. The floor was re-angled, the seats were reversed, and the screen was placed at the opposite end of the building. 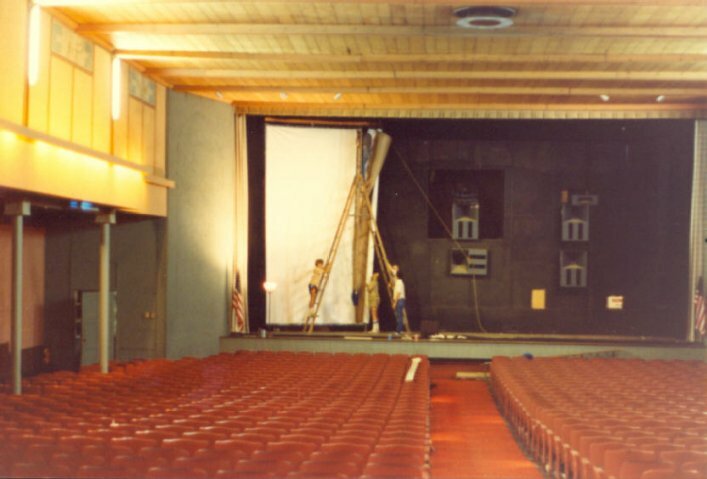 The projection room was placed where the stage had been. 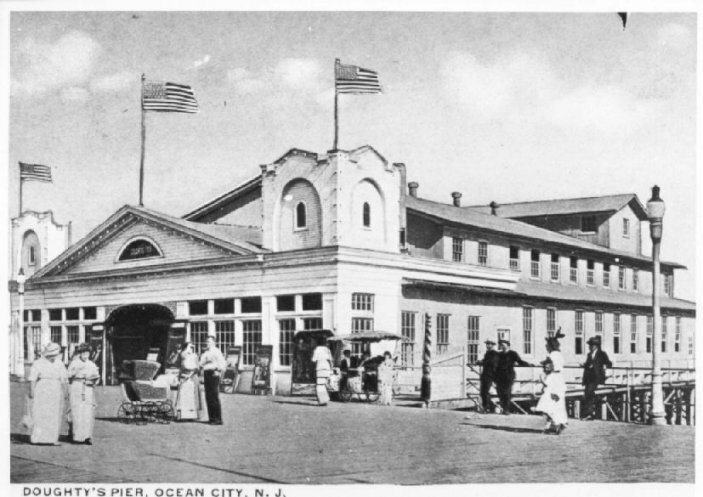 Patrons would now enter the building from the eastern side, near the boardwalk. Around this same time, the theatre was sold by widow Doughty to William Shriver, and the theatre was renamed the Village Theatre. 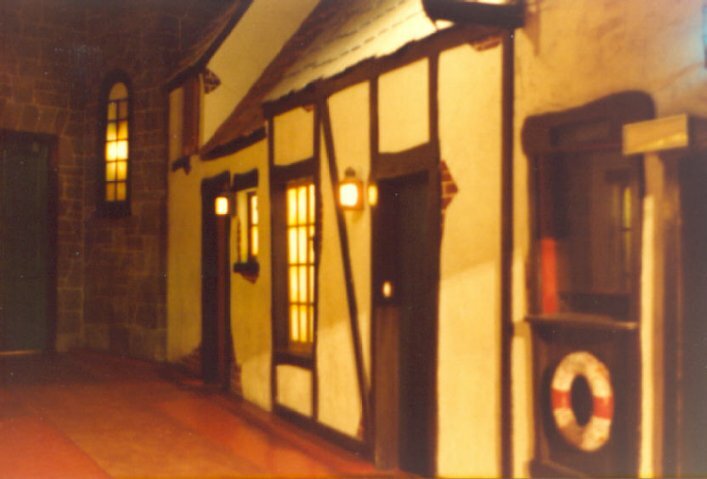 To fill in space between the entrance and the new boardwalk, a false seaport village front was constructed showing small village doors and windows lit from behind. A sound system was installed in 1929. New siding covered up the rows of windows. The Village remained much the same for the next 60 years. The inside was simple with occasional odd angles in the walls where the building had been reversed. Behind the screen you could see marks in the floor from what used to be several front doors. Above the projection room you could find the fly space from the original stage. 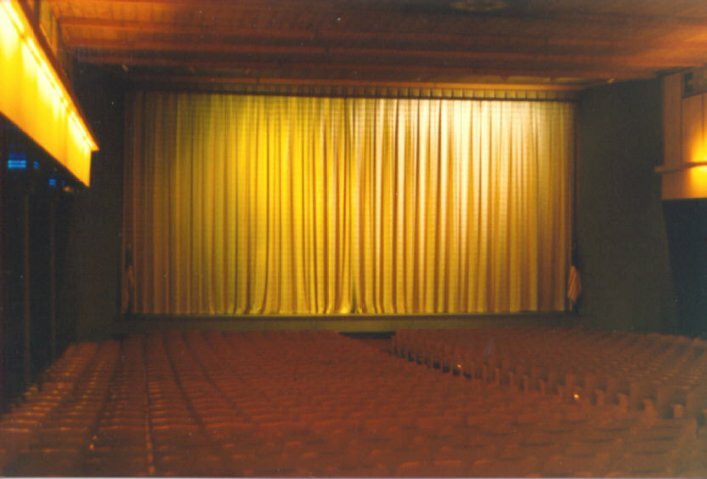 The auditorium had film and radio decorations on the walls, near the ceiling. 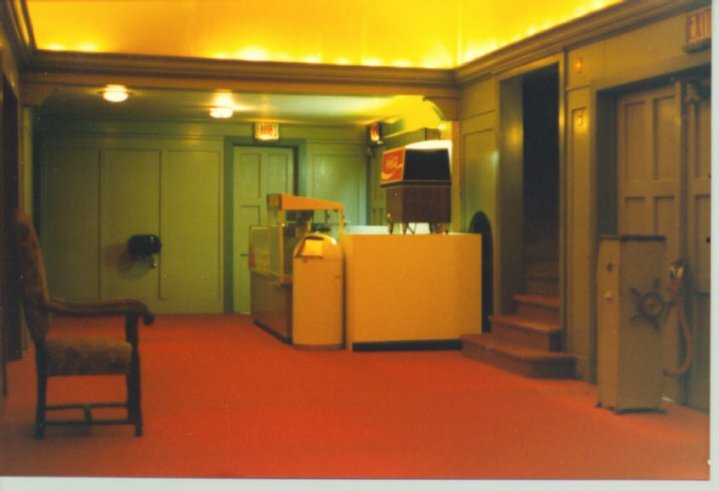 Until 1989 the theatre was still lit with very old Lumiline incandescent fixtures. Each light looked like a fluorescent tube but had an incandescent filament running its length instead. The theatre was the home office for the Shriver Theatre Company and its general manager, Arthur Oehlschlager. Arthur started working as a rewind boy in 1929, became the general manager around 1961, and managed the entire theatre operation until his death in 1980. 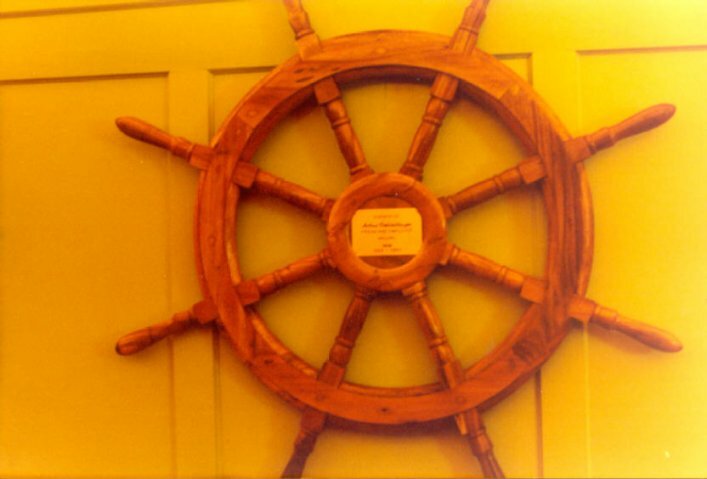 Friends had hung a ship's wheel in the Village lobby in memory of Oehlschlager. The Village and other theatres were sold in 1989 by Helen Shriver Schilling to a paper company secretly owned by local competitors. 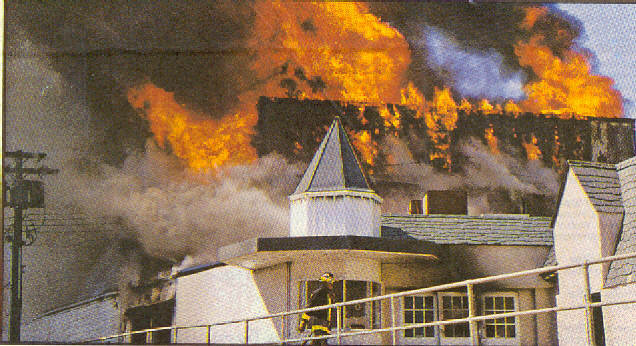 On June 12, 1990 the Village burned to the ground. The cause is still unknown. Doughty's Pier. 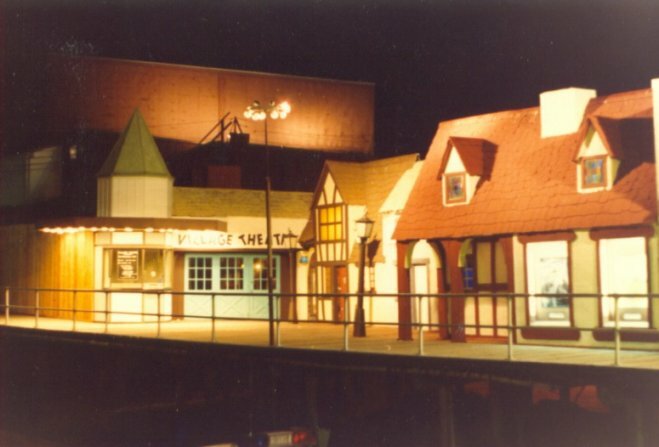 The theatre has a different front and slightly different boardwalk than the other pictures. 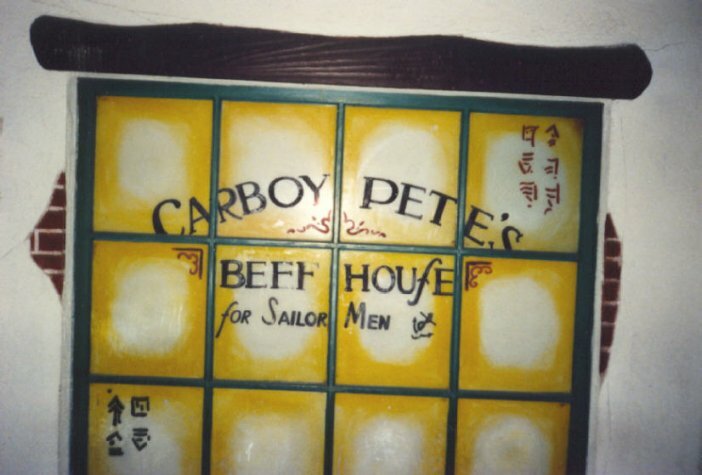 This must be the earliest picture. Doughty's Pier. Note how close the water is. After the fire, the new boardwalk is built. You can see Doughty's Pier now sitting one block inland, near the upper middle of the picture. The building now reads: "Doughty's Theatre" and there is no Village facade yet. 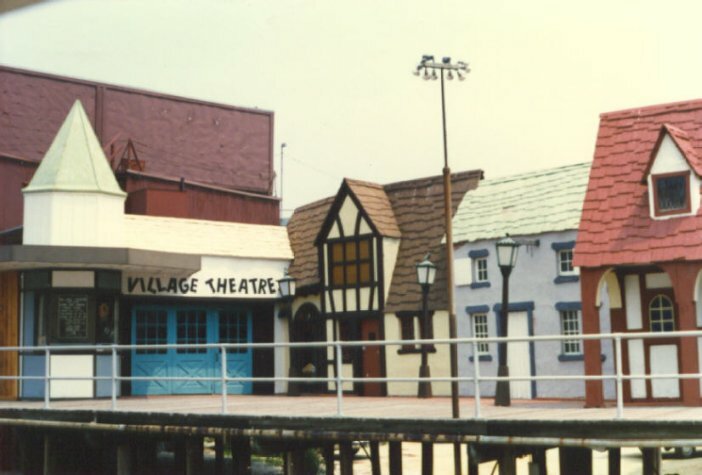 The Village (1981) with the fishing village facade. The entrance way and lobby. The auditorium. A new screen being installed overnight. 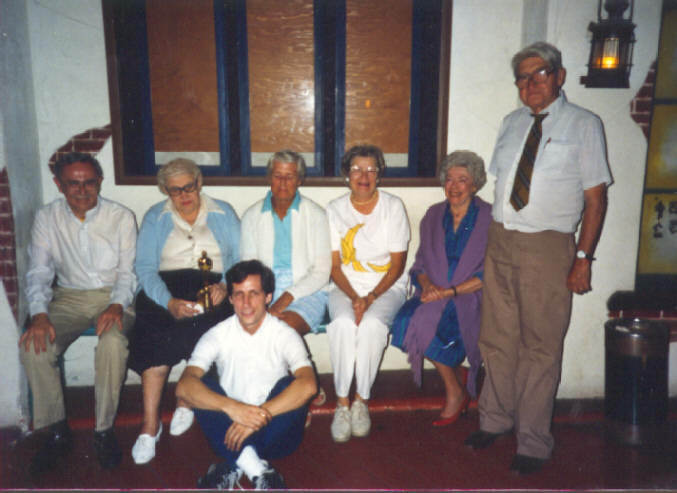 The Village crew give Helen an Oscar for 65 years selling tickets (1988). Jim Foreman, Helen Kertland, Jim Laymon, Mary Jane Miller, Margaret Schock, Virginia & Pete Weston. 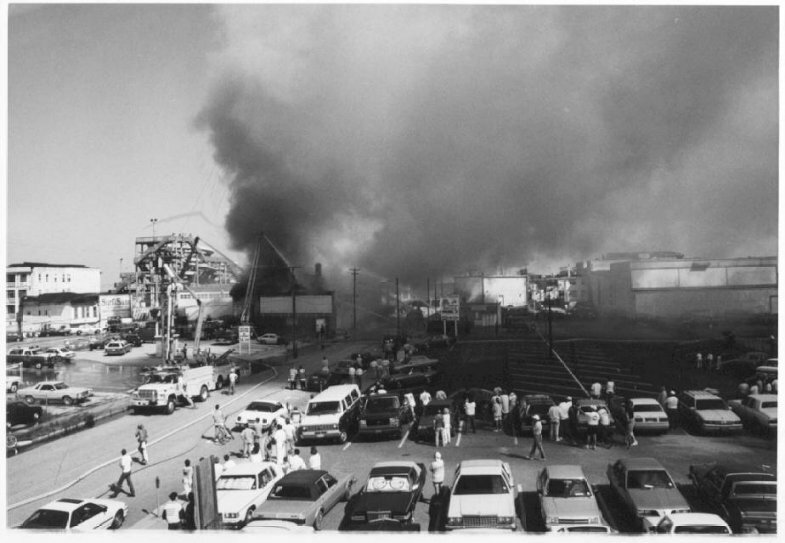 The June 12, 1990 Fire.